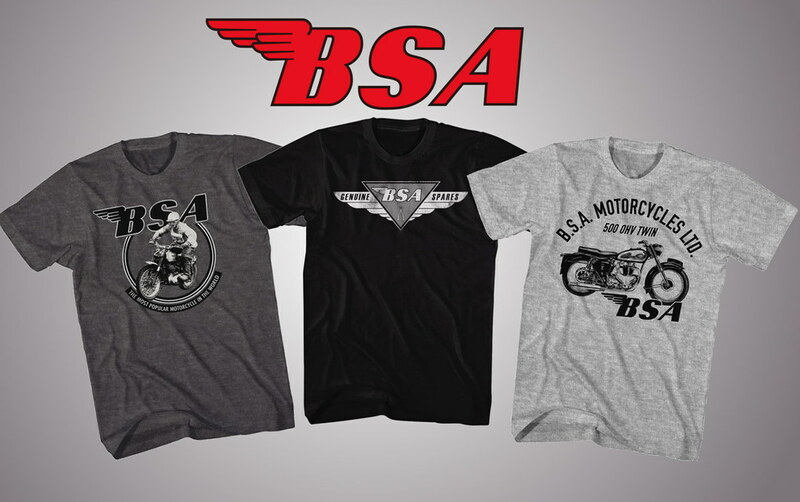 We have a large line-up of new BSA motorcycle shirts in-stock and ready for shipment. All BSA shirts are 100% authentic and licensed under BSA. We stock sizes from S-XXL with many sizes, colors and styles to choose from. Most shirts are $19.95 with free shipping in the USA.